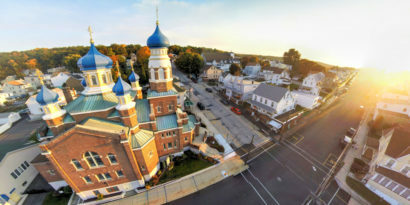 We are a small group of Orthodox Christian graphic designers, digital photographers and web developers located primarily on the east coast of the United States. 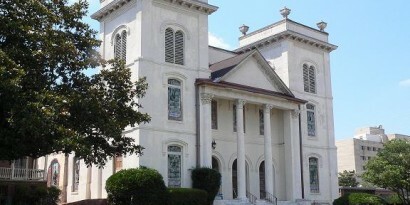 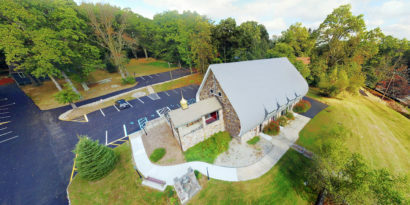 We are committed to using our creativity and technical expertise to serve our clients at very reasonable rates for the expansion of the Church and to the glory of God. 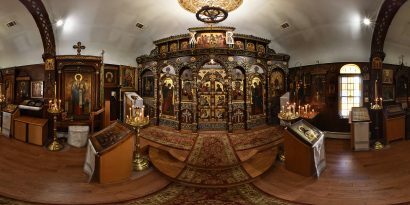 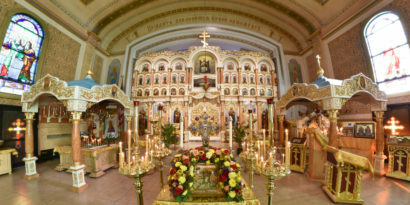 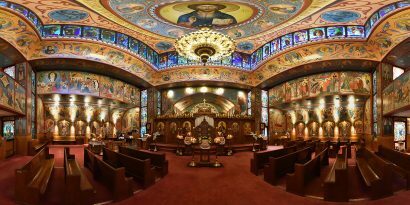 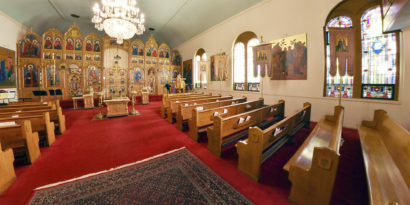 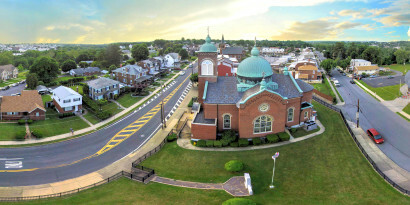 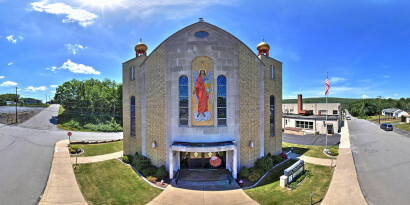 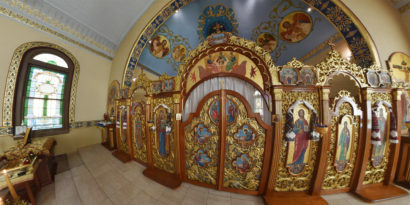 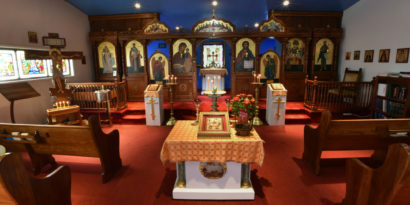 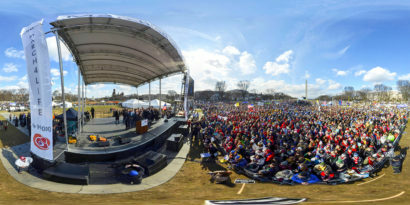 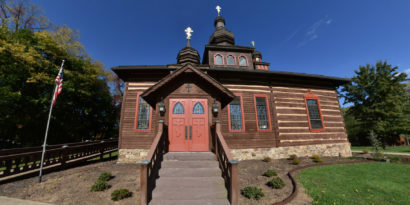 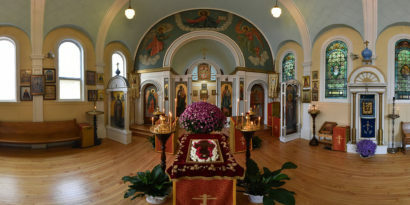 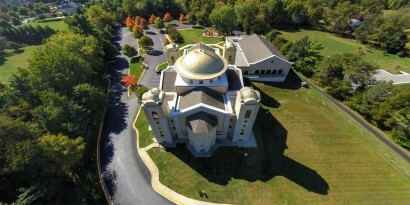 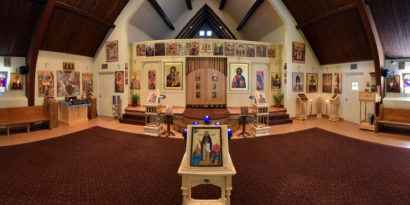 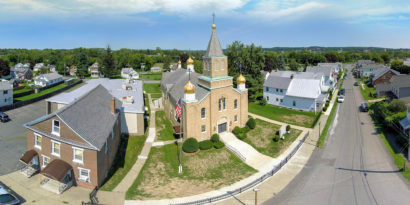 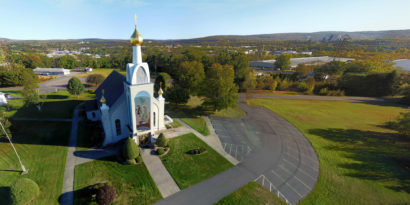 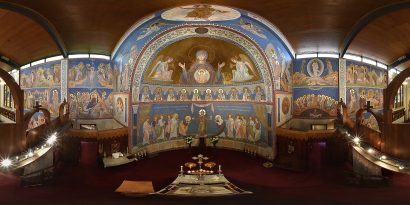 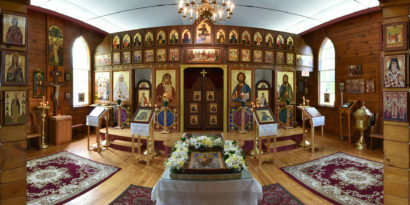 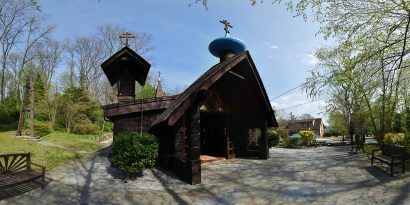 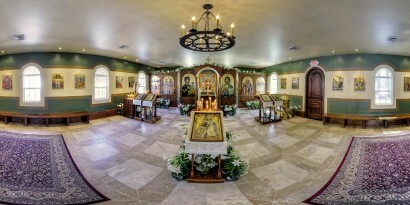 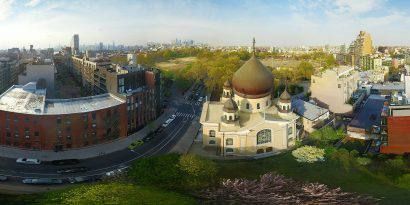 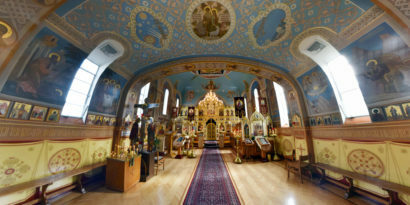 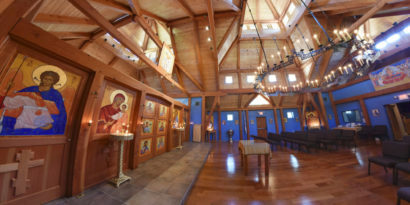 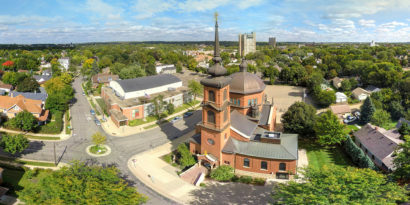 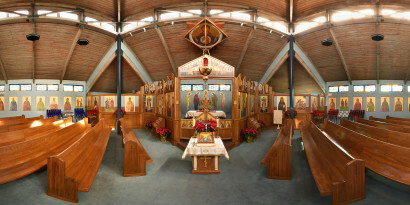 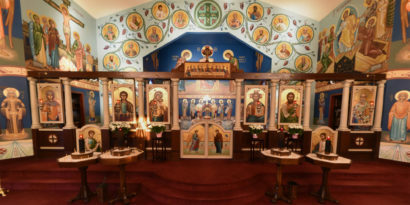 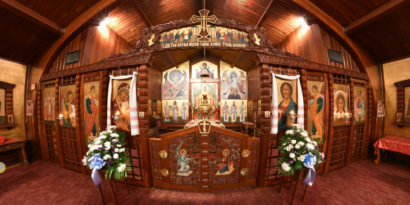 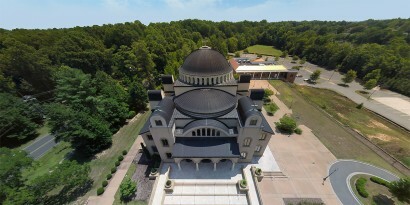 Orthodox 360° is part of Orthodox Web Solutions, LLC, which has been offering web services to Orthodox churches, monasteries, organizations, and businesses since 2003. 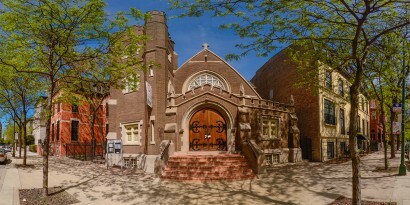 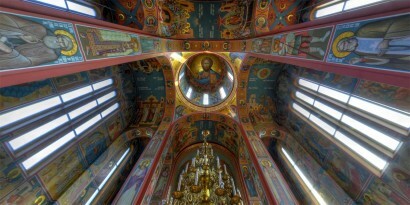 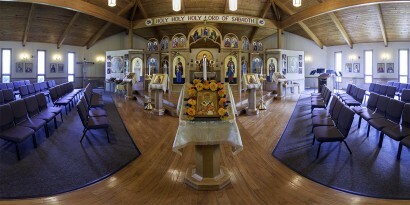 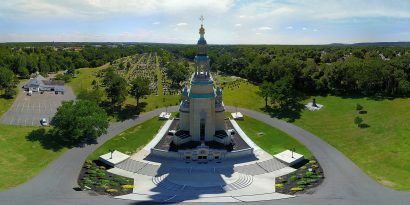 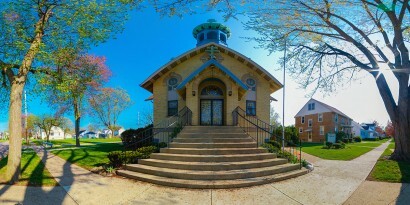 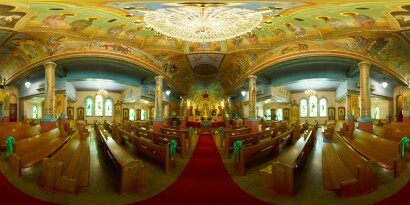 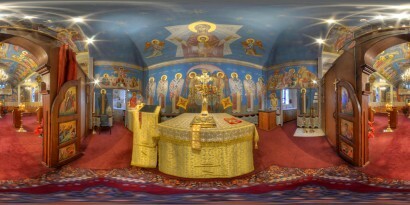 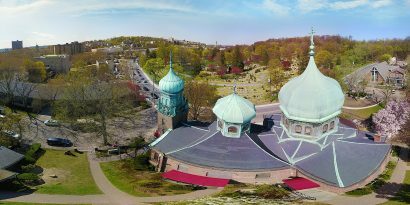 Amazing fully-interactive 360° tours of your church, monastery, cemetery, parish hall, etc. 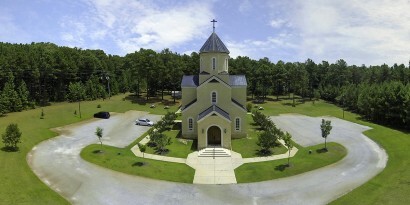 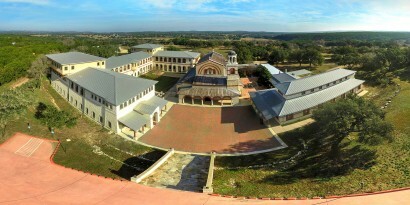 We even offer stunning aerial panoramas! 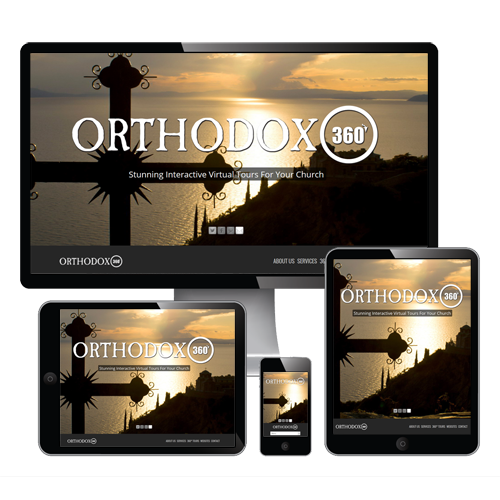 We design beautiful responsive websites optimized for mobile and handheld devices. 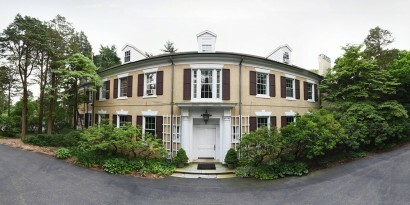 See some of our web work here. 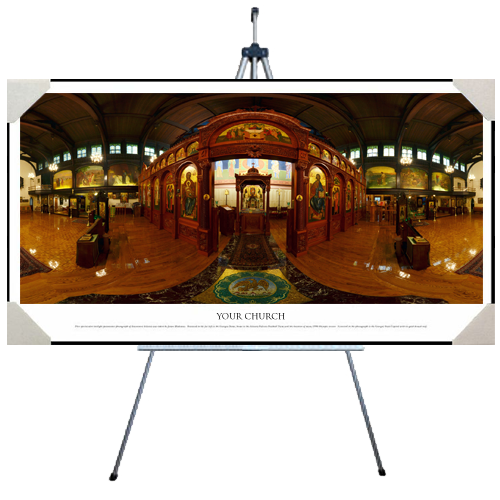 Our 360° tours are not only great on your website but the panoramic photography can be used for high-quality professional prints. 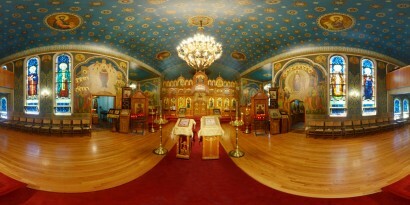 You choose your tour package from the options below then fill out our online form. 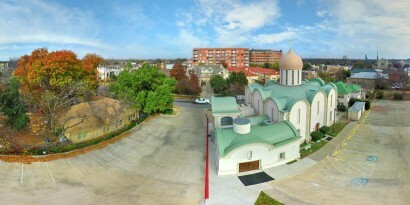 We reply with a detailed quote for your review, answering any questions that you might have. 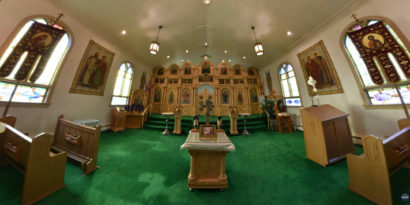 We come to your location at an agreed upon time to take all the photos. 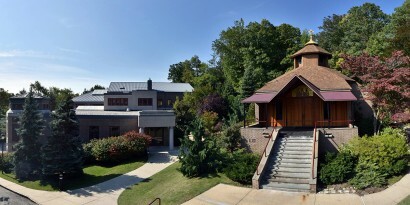 Back in the office, we assemble the tour with all your bells and whistles (hotspots, floorplan, audio/video, etc.). 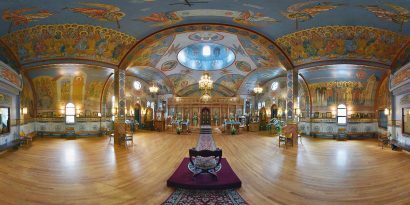 We send you the tour and help you put it on your own website. 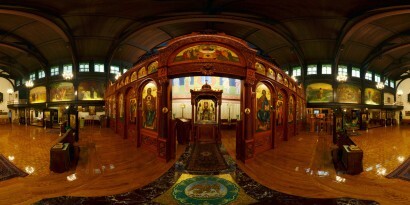 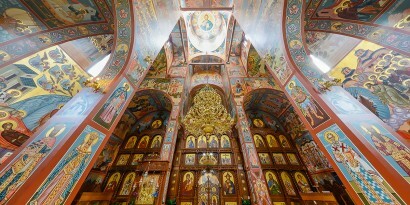 We also load a copy on Orthodox360.com. 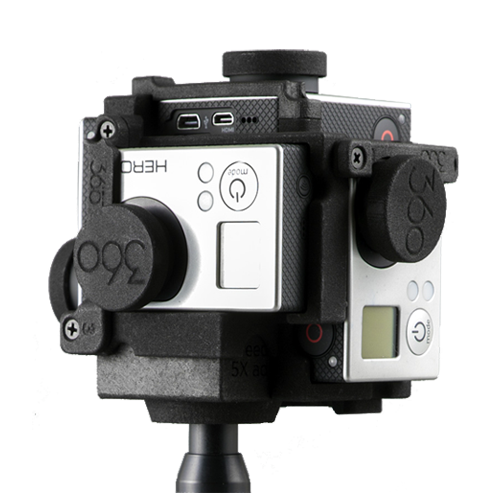 A standalone copy of the tour is available for festivals and other venues. 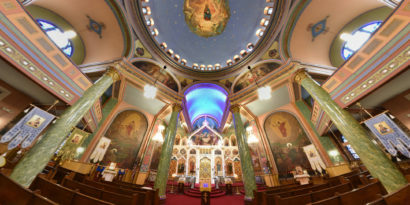 We offer filming and production services for special events, church anniversaries, website/social networking short films, documentaries, and more. 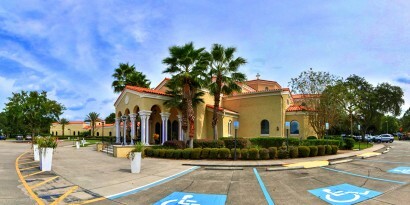 Wherever you are, our mobile studio, will help you get the job done right. 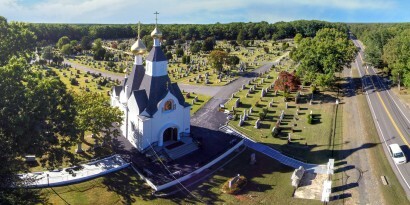 We use the latest DSLR rigs and GoPro cameras for full HD, 2K and 4K filming and professionally elongated telescopic poles for stunning angles and perspectives otherwise impossible to capture. 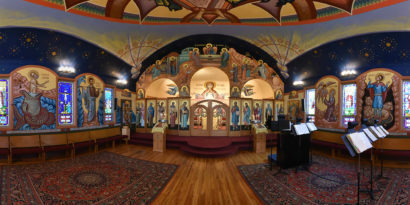 Orthodox360 is available for hire with very modest pricing but we have also done pro-bono work dependent upon the nature and scope of the project. 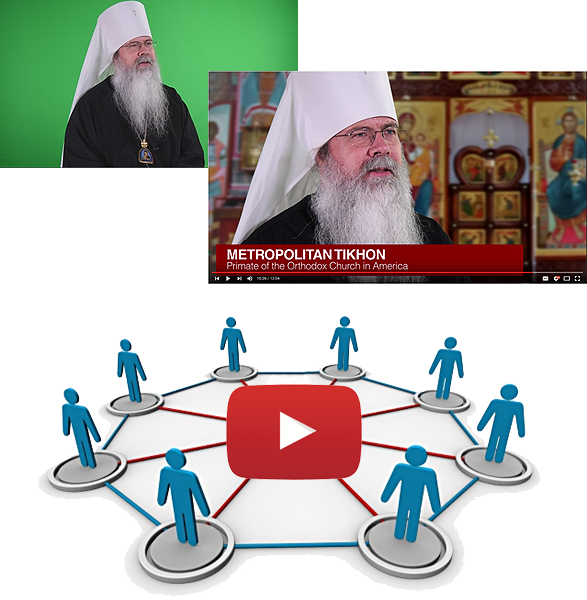 Have a video project in mind? 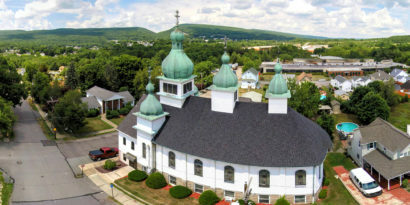 We’d love to hear about it, just let us know! 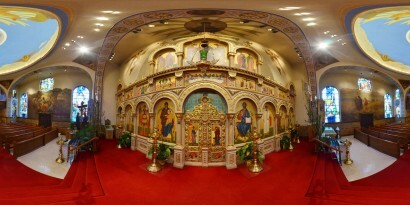 Full HD video for Special Events, Church Anniversaries, Welcome Videos, and more!